I have a few friends on a gluten-free diet. Chocolate Soufflé Cake is really my go-to gluten-free dessert, but I feel the need to expand my horizons. I have had a couple of failures in the past- most memorably a gluten-free berry clafoutis. 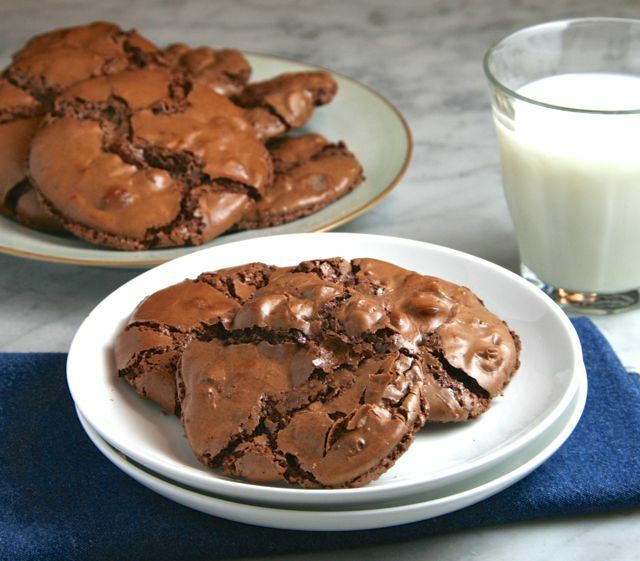 😦 Happy to say that these flourless chocolate cookies were a success! They were crisp on the outside and sweet, chocolatey, chewy, and tender on the inside- difficult to believe that they were flourless. We ate them as is, but they would be wonderful with a bowl of ice cream too- and still gluten-free. This recipe was adapted from Joie de Vivre. Delicious! 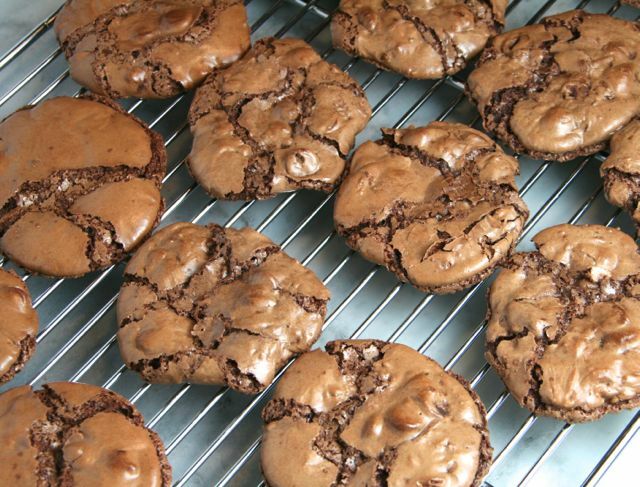 This recipe by Josette first appeared on 25 October 2014 at https://thebrookcook.wordpress.com/2014/10/25/flourless-chocolate-cookies/.